WASHINGTON — Senator Elizabeth Warren is expressing doubts about President Trump’s nominee to be secretary of the Army, a decorated veteran who has spent the last seven years as Raytheon’s top lobbyist in Washington. Warren said in an interview that nominee Mark Esper’s role attempting to influence policy for one of the nation’s top five defense contractors raises questions about his suitability to lead the Army. As its top civilian, Esper would have broad authority over the Army’s weapons purchases and budgets. 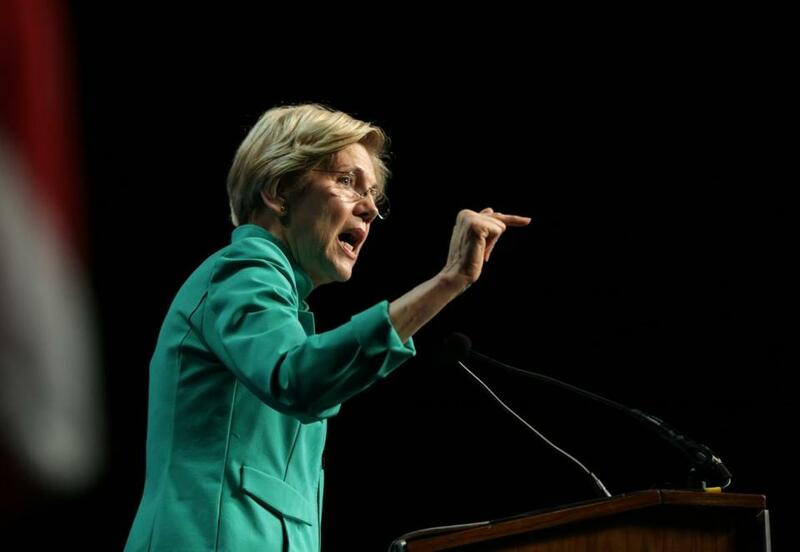 Despite her public misgivings, Warren — who has established a mixed track record on Pentagon nominees from defense companies — said she is not prepared to oppose Esper. Her cautious approach is notable given her highly outspoken stances in the past against some Wall Street executives picked for government posts regulating the financial sector, especially investment banker Antonio Weiss, who President Obama wanted to name as deputy treasury secretary. Warren indicated she will use her perch on the Armed Services Committee to continue to probe into the conflicts of interest inherent in Esper’s selection. The committee has yet to schedule a confirmation hearing. The calculus for Warren, who is running for reelection next year, is complicated by the fact that Raytheon is based in Waltham and employs 11,600 people in the state. She is also a newcomer to Armed Services and has been less outspoken than she is on the Banking Committee, which is more familiar turf for the Massachusetts Democrat. Warren met with Esper before the August recess and asked him about his plans to navigate the ethical thicket involved, she said. “I told him I’m concerned about the number of defense executives being nominated for the Pentagon and the potential conflicts of interest that creates,’’ she said. 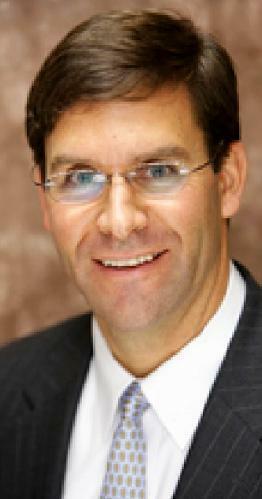 Esper has been vice president for government relations at Raytheon since 2010. In that role he has led federal- and state-level lobbying strategy for the company. Those duties encompass doling out millions each year in campaign contributions to members of Congress — including Warren and other members of the Massachusetts delegation — through Raytheon’s political action committee. In an ethics letter filed in connection with his nomination, Esper said he would refrain from participating in issues related to Raytheon for one year following confirmation. Esper earned $1.5 million from Raytheon in the last year and he’s in line to receive up to $6 million in deferred compensation five years after he departs the company. Warren is known publicly for standing at the liberal ramparts against President Trump and corporate influence in government, but her opposition to Trump’s nominees from the business world has limits, especially in her new role on Armed Services. She has a mixed record when it comes to confirming defense executives to high-ranking Trump administration positions, where they could benefit their former companies. She opposed the newly installed deputy defense secretary because he came from aerospace contractor Boeing’s executive suite but approved the Pentagon’s undersecretary for acquisition even though she was chief executive of Textron, a large defense company based in Providence. She also joined in support of a deputy Army secretary Trump recruited from Lockheed Martin. Warren said that she takes the nominations case by case and that industry ties are not necessarily disqualifying on their own. In the case of the new deputy defense secretary, Patrick Shanahan, she cited the nominee’s shift in answers on some issues and his Boeing job as senior vice president. As “deputy secretary it’s difficult to recuse yourself from matters involving one of the largest government contractors,’’ she said. Warren was just one of a handful of senators who voted against Shanahan, although Armed Services’ chairman John McCain expressed concerns about Trump’s high number of industry nominees for defense posts. “I have to have confidence that the fox is not going to be put back into the hen house,’’ McCain said at Shanahan’s confirmation hearing. In the case of Ellen Lord of Textron and Ryan McCarthy of Lockheed Martin, Warren said they had experience that indicated a commitment to public service. Lord has forged a gender-busting path in a male-dominated industry. McCarthy is a combat veteran of Afghanistan. Both of those nominees were confirmed on voice votes, meaning there was no roll call vote and minimal, if any, opposition. Before he worked for Raytheon, Esper held high-level roles at the US Chamber of Commerce and a major defense trade group, the Aerospace Industries Association. He worked as a top Senate aide to former majority leader Bill Frist, a Republican, and on the 2008 presidential campaign of the late Fred Thompson. Esper also is a former Army colonel who was awarded a Bronze Star medal in the first Gulf War. In addition to overseeing Raytheon’s strategy on such issues as military budgets that fund the purchase of Raytheon radar systems and antimissile batteries, Esper has overseen a shift in Raytheon’s campaign contributions to more heavily favor Republicans. Still, Warren and the other Massachusetts senator, Democrat Ed Markey, have both received contributions from Raytheon. Markey also remains neutral on Esper’s nomination, according to his office. Public Citizen and Common Cause, two nonprofits that advocate against the influence of big business in government, say Esper is a prime example of corporate insiders finding a foothold in Trump’s government. Esper’s pledge to avoid Raytheon-related matters for a year is a small commitment in the context of his high-level work for the company for seven years, said Robert Weissman, executive director of Public Citizen. Christopher Rowland can be reached at christopher.rowland@globe.com. Follow him on Twitter @GlobeRowland.